3-Year-Old Syrian Latest To Be Treated by Israel - Breaking Israel News | Latest News. Biblical Perspective. A three-year-old girl is just the latest Syrian injured in the countries civil war to be evacuated to, and treated by, Israel. On Saturday, the little girl and her mother were rushed from Syria to Ziv Medical Center in Safed after suffering from shrapnel wounds. She is currently listed in ‘serious condition’. Four other wounded Syrians were cared for at Ziv this past week, including a 15-year-old girl who lost her foot. There have been an estimated 100 Syrians treated in Israel since the outbreak of the vicious in-fighting erupted, despite the fact that the Syrian government and its population have been enemies of the State of Israel since its inception in 1948. In early June, Defense Minister Moshe Ya’alon announced that Israel was operating a field hospital along the Syrian border. “Our policy is to help in humanitarian cases, and to that end we are operating a field hospital along the Syrian border,” Ya’alon told the Knesset’s Foreign Affairs and Defense Committee. “In cases where there are badly wounded, we transfer them to Israeli hospitals. We have no intention of opening refugee camps.” The IDF has kept secret the identity and number of Syrian nationals treated in Israel. 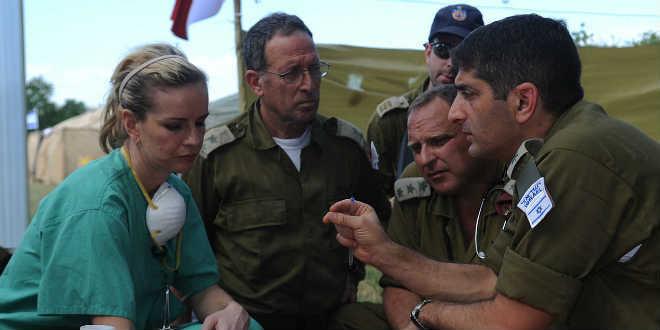 Israel has a long and honorable reputation as one of the world’s most reliable first-responders when disaster strikes, including as recently as sending help to Haiti in 2010, sending doctors and police to Boston after the Boston Marathon Bombings this past April, and even daily medical help to their Gazan neighbors, despite mainstream media reports. According to the UN, at least 93,000 people have been killed in the bloody conflict. Around 7,000 children under the age of 15 have been killed. Half of the 1.7 million Syrian refugees are children, and inside the war-ravaged country, more than 3 million children are in desperate need of humanitarian aid. 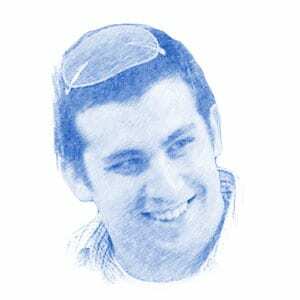 Doni Kandel, originally from Los Angeles, now living in central Israel, holds a BA in Political Science and Military Strategy from Bar Ilan University and is currently studying for his M.A. in Counter-Terrorism and Homeland Security at the IDC Herzliya, and is a weekly columnist for the Washington Times Communities, where his column, "That's Right I Said It! ", deals with Israeli and Jewish issues world-wide.